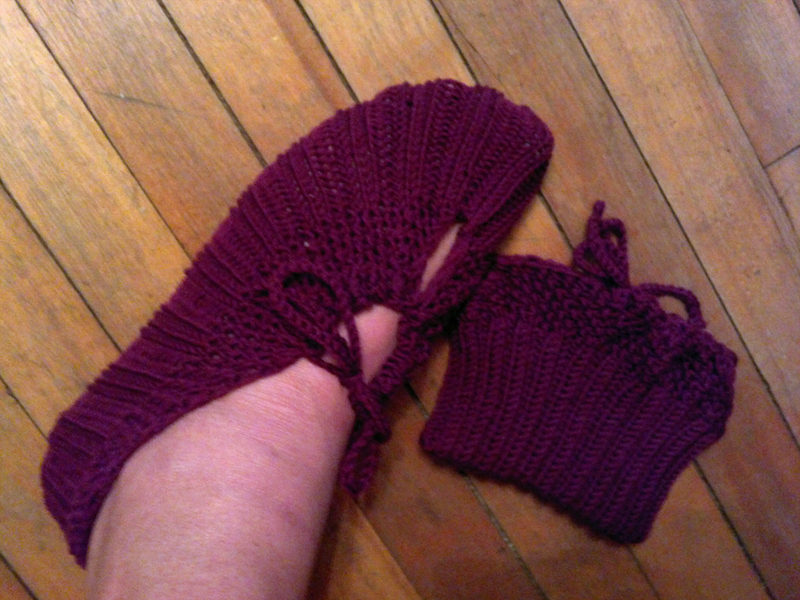 I finally jotted down the pattern for these Pocketbook Slippers – I’ve made several pairs of them for fundraisers, charity knitting, and gifts. The wonderful women at my local knitting group were kind enough to ask for the pattern, so…here it is! If you don’t want to download it at Ravelry, you are more than welcome to grab it below. Not only will I not sell your email, I won’t even use it! This is just the easiest way to get copies out – I promise not to bug you.